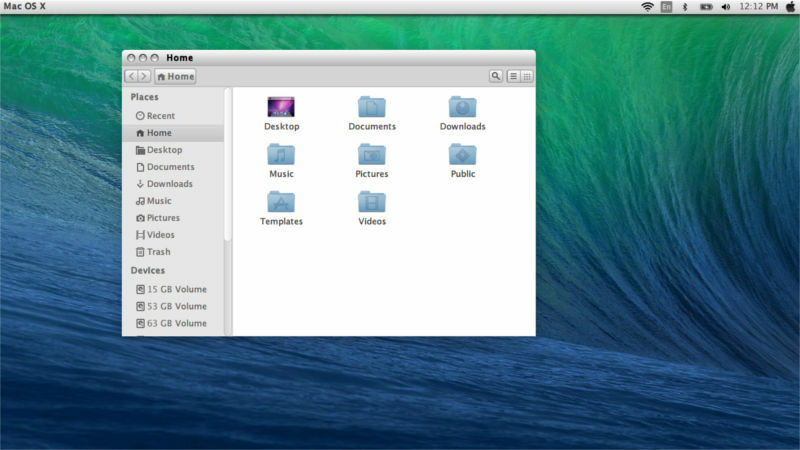 Install Mac OS X Theme for Ubuntu 14.04 will help to make Ubuntu 14.04 looks like Mac OS X. This Macbuntu Transformation Pack Includes GTK Themes, themes for Ubuntu Unity, Icon themes for Ubuntu 14.04, Logos, Boot Splash sceen, Login Screen LightDM webkit theme (by wattos). This pack is developed by noobslab with the help of bluedxca93 from gnome-look.org. This Mac OS X Transformation Pack consists of four Mac GTK themes, three Mac icon themes, Mac boot screen, and Mac like LightDM theme. The commands and instructions to change an Ubuntu 14.04 looks like Mac OS X are given below. There are some instructions to revert back to default Ubuntu. Simple things first just download Mac OS X wallpapers. Here is the link to download the Mac OS X wallpapers. It will download a Zip of 39.2 MB. Extract it to your pictures folder. Then right click on the desktop >> change the background >> Select Pictures folder and select a Mac Wallpaper. To change the GTK theme, Icons Theme, Cursors, Fonts we need Unity Tweak Tool. Install Unity Tweak Tool on Ubuntu 14.04 by using the commands given below. 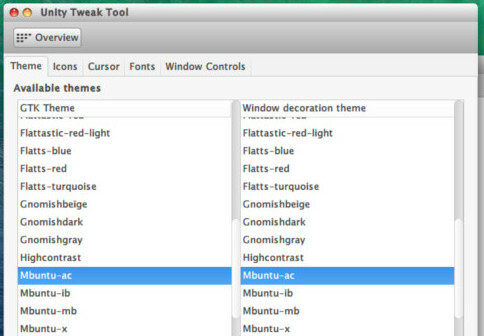 You can also use Ubuntu Tweak Tool to change the Themes. Install the GTK theme, Icon theme, Mouse pointer theme and fonts of Mac OS X and apply them to ubuntu 14.04. Run the commands on a terminal (press Ctrl+Alt+T). 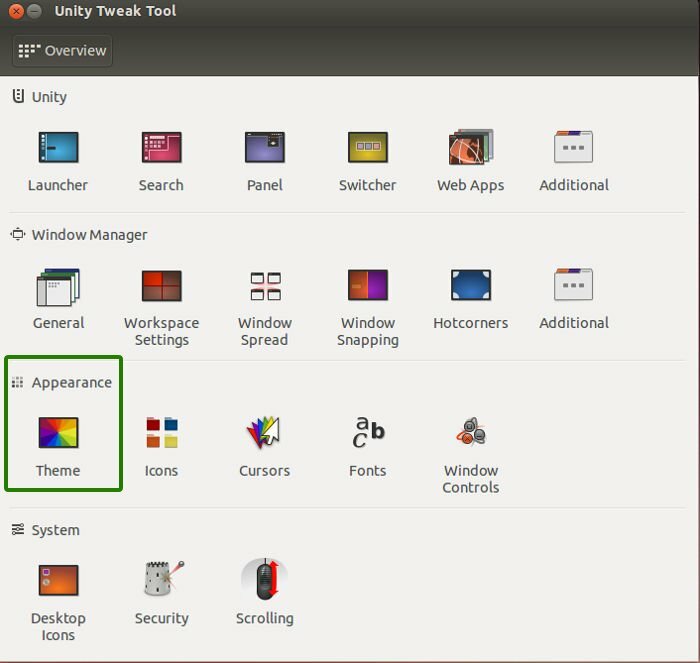 Now Open Unity Tweak Tool and select Themes section. On GTK themes section select Mbuntu theme. 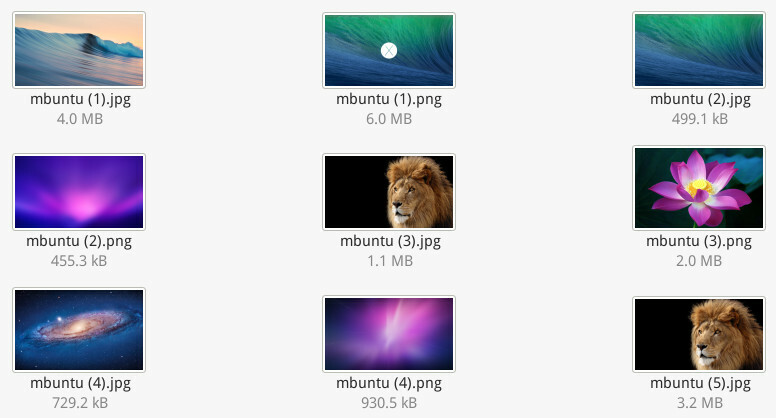 On the Icons tab select Mbuntu-osx and on cursors tab select Mac-cursors. The look and feel of the Unity desktop is now almost Mac Like. 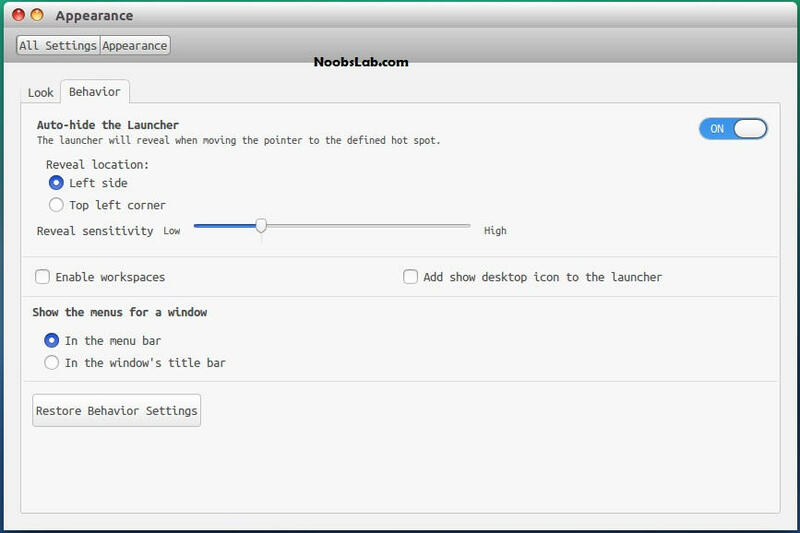 You have mac icons, Mac Windows and Mac mouse pointers. Next thing is to add a Mac Dock, Mac Logo and Name on the top bar. 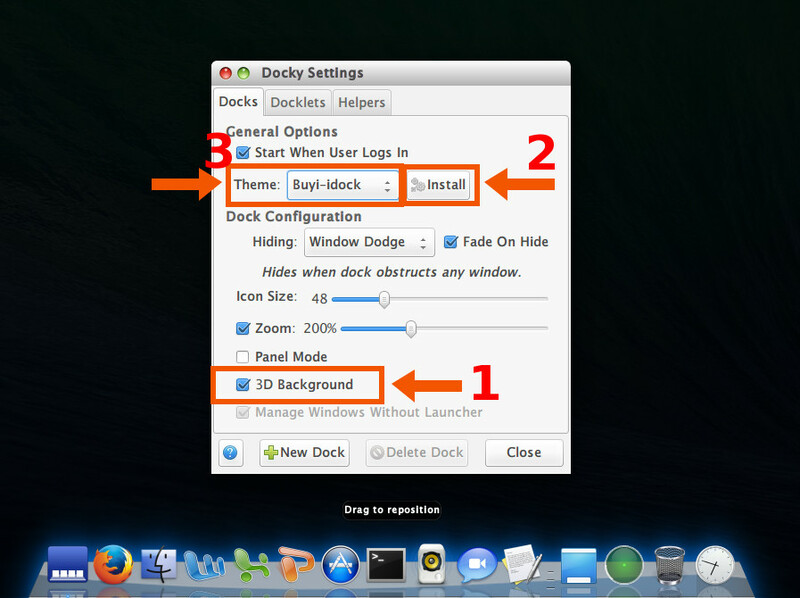 Docky is a very light weight mac os x like dock for ubuntu. It has mac like hover effects for icons. To install docky into ubuntu 14.04 run the commands given below. Now install Mac Dock theme for Docky. Download Mac theme for docky. Run Docky from Unity Launcher. You will get a dock on the bottom of the screen. Click on the first icon docky settings. On the settings window select 3D Mode. Click Install Button select the downloaded docky theme file. Then you will get Buyi-idock theme. 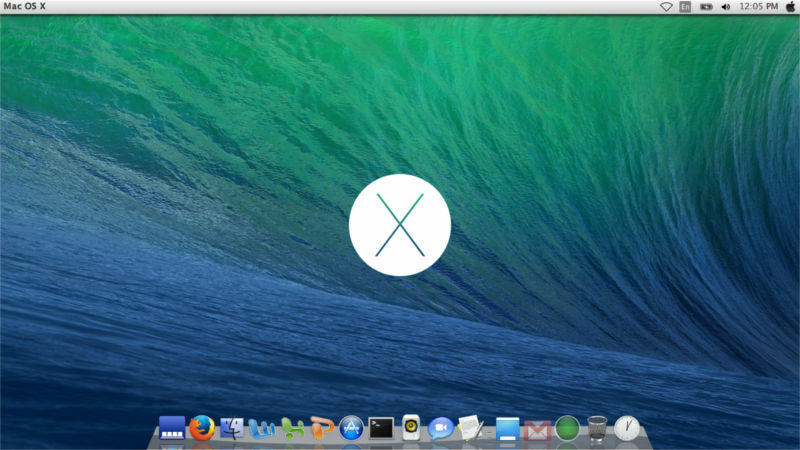 Now we got a Mac OS X like Dock. You can hide unity launcher from Appearance -> Behavior and turn off. Now your desktop have a nice mac os x wallpaper with mac os x dock. This will change the boot screen of Ubuntu 14.04 from ubuntu text to a nice Mac OS X like Splash screen with grey loading animation and apple logo. If you don’t like Mac OS X like Splash Screen, You can always get back Ubuntu splash screen by removing it. Enter following commands to install Mac LightDM theme on Ubuntu 14.04. These commands will change the login screen of ubuntu. If you want to revert the login screen to default then run the following commands to revert the default LightDM theme. Ubuntu 14.04 got new lock screen. 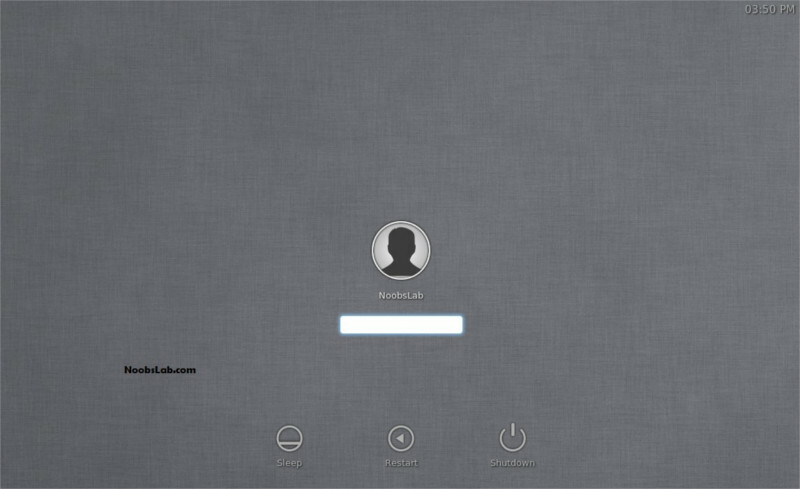 If you are not changed the Light DM Theme then these step are essential to look like a Mac OS X Lock Screenlock screen. Now the transformation of Desktop to Mac OS X is almost complete. You have a Mac Boot splash, login screen, Desktop and lock screen. Some more additional tweaks for a better look. Human icons are the default icons in LibreOffice. But in the Mac transfomation pack those are not suited well. So we are attempting to change the libreoffice icon theme to a monocromatic more appeling theme. To make LibreOffice more elegant with monochrome icons follow these instructions. 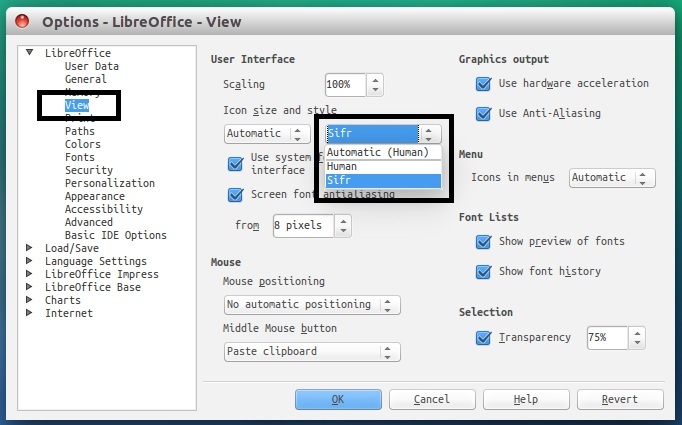 After installation go to LibreOffice menu select “Tools” > “Options” > “LibreOffice” > “View” and select “Sifr” under “Icon size and style”. The default ubuntu font look great in Ubuntu 14.04. But for a complete Mac Look we need Mac Fonts. 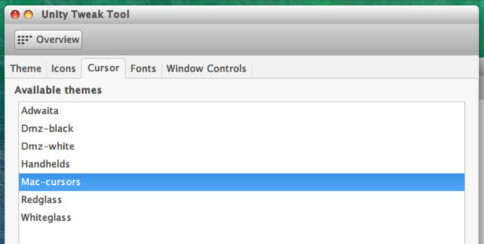 To Install Mac Fonts to the system run the following commands. 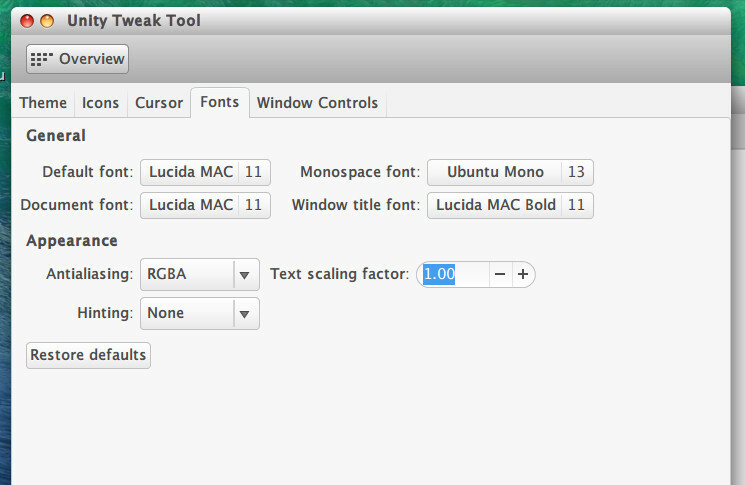 To change the fonts start unity tweak tool . On the fonts section choose Apple Garamont Font or Lucida Mac Font. Adjust the size of the font according to your screen. This will complete the Transformation of Ubuntu 14.04 look like Mac OS X using the Macbuntu Transformation Pack of themes, icons, dock, fonts and login screen. 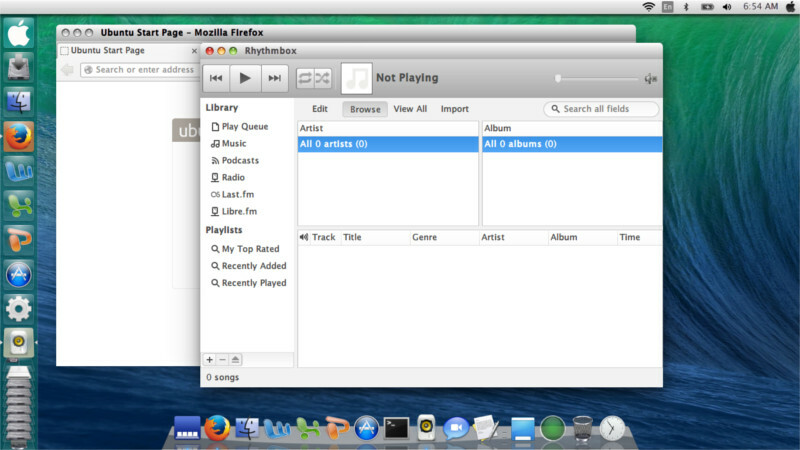 Enjoy Ubuntu 14.04 with the feel of Mac OS X.